What has the AU Peace and Security Council done for Women in Conflict? In March 2011, women survivors of sexual violence from Cote d’Ivoire, the Democratic Republic of Congo, Equatorial Guinea, Kenya, Somalia, South Sudan, Uganda and Zimbabwe presented their concerns to the AU peace and Security Council. This was during the councils’ second open session on Women and Children in Armed Conflict, which was held in Addis Ababa, Ethiopia. The Peace and Security Council of the AU is responsible for promoting peace, security and stability as well as managing catastrophes and humanitarian actions in Africa. The women who were facilitated by Isis-WICCE, Femmes Africa Solidarité, UN Women, Oxfam (GB) and Urgent Action Fund-Africa expressed their concerns on the continuing armed conflicts on the continent that have led to increased sexual violence. In their statement, the women reiterated the fact that in spite of all the African Union and UN instruments, armed conflicts continue un abated and sexual violence against women is carried out with impunity by all parties involved in fighting. They acknowledged the efforts of the AU member states in promoting gender parity, equality and enhancement of women’s participation through adoption of the Solemn Declaration on Gender Equality in Africa and the Additional Protocol to the African Charter on Human and Peoples Rights on the Rights of Women in Africa among others. The women called upon the member states to put in place mechanisms that will ensure survivors’ full recovery of the bodies and soul and involve them in planning designing and implementing recovery and rehabilitation programmes. They emphasized the importance of providing comprehensive medical care through increased health budgets for sexual and reproductive health complications and trauma management. Similarly, the UN Special Representative of the Secretary-General on sexual violence in conflict, Mrs. Margot Wallstrom affirmed that sexual violence has been ignored in peace talks, reparations schemes and funding frameworks for recovery. She further highlighted some of the actions that have been taken to combat impunity like that of the Government of DRC which has recently prosecuted a number of senior army officers for crimes of sexual violence. 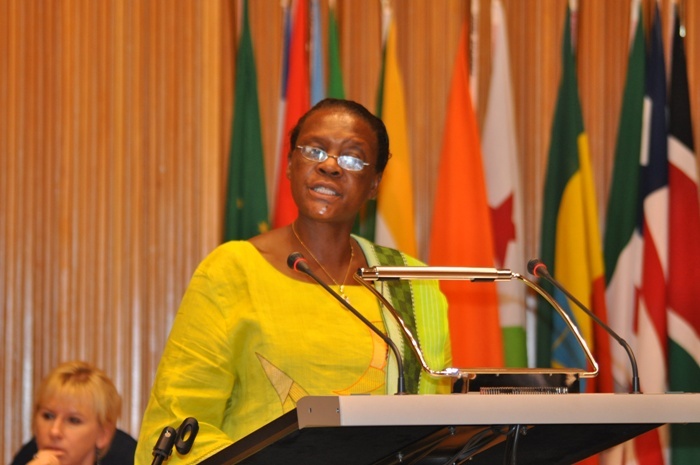 She urged AU member states to appoint an AU Special Representative on sexual violence in Conflict and pledged her support to such a role which she said will serve as a natural point of contact to strengthen AU-UN partnership. Until 2009, little has been documented about the councils’ efforts in protecting women and children during conflict. In 2009, however when the council adopted the Livingstone Formula which ensures the participation of civil society organization in the council meetings and creation of open sessions. In response to women’s concerns, the AU Peace and Security Council saluted the courage and resilience of the survivors of conflict- related sexual violence and stressed the need to fully investigate cases of crimes committed against women. It emphasized the need for launching preventive campaigns aimed at armed forces and the police to ensure that perpetrators are brought to justice. The members of the Council also urged member states who have not ratified the Protocol to the African Charter on Human and Peoples Rights on the Rights of women in Africa to do so and ensure its domestication. They also emphasized the importance of developing strategies at continental and regional level to enable monitoring of the situation of women and children in conflict as well as providing support for facilitating the psychological rehabilitation of the survivors of sexual violence. The Council further called for mobilization of resources to ensure that gender is mainstreamed in all aspects of AU peace-related activities. Since its independence in 1956, Sudan has been a battleground for two armed conflicts (1955-1972) and 1983-2005 after which a Comprehensive Peace Agreement (CPA) was signed on 9th January 2005. The civil armed conflict that started in 1983, formed the apex of all other former conflicts in the Sudan that led to the death and displacement of many people, destruction of property and infrastructure, and the untold physical and mental suffering of the survivors. Survivors of armed conflict suffer a wide ray of psychological trauma and reproductive health complications arising from the several sexual and gender based violations inflicted upon them, torture, loss of family members, loss of property, resulting into post traumatic stress disorder. It is against this background that Isis-WICCE with the support of the Dutch Fund for Gender Equality (MDG3) thought to address such problems through training of health workers in Management of Medical and Psychological Effects of Armed Conflict Trauma and later on carry out a medical intervention camp. 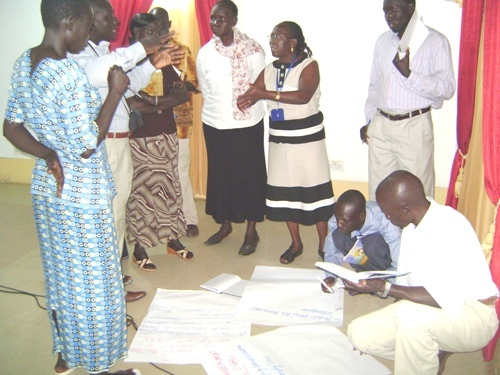 The training was conducted in October, 2010 in ­Juba and it brought together 36 primary health workers from six counties in Central Equatoria State ( Morobo, Kajo-Keji, Terekekka, Layinya, Yei and Juba). The purpose of this training was to build the capacity of community based health workers in identification and management of physical, reproductive and psychological health complications and to highlight the importance of healing reproductive and psychological health problems of war survivors in improving participation in reconstruction processes. This training was the first of its kind in Southern Sudan as remarked by John JimLong, the Executive Director of Toto Chan Centre for Child Trauma. Jim Long applauded Isis-WICCE for giving attention to the needs and problems affecting women in post conflict S. Sudan. He further gave a brief background about Isis-WICCE work in S. Sudan that in 2005, Isis-WICCE in collaboration with Toto Chan Centre for Child Trauma conducted an in-depth research study in Central Equatoria State as a first step to know the war effects of armed conflict on women’s lives. The research identified among others two critical needs; high levels of illiteracy and sexual and reproductive health complication among women needs. And as a result, in 2009, Isis-WICCE carried out training for 53 women in S.Sudan in leadership and peace building and many have now taken up political leadership. In addressing the problems of sexual and reproductive heath complications, Isis-WICCE felt it important to train health workers as a way of building their capacity to be able to manage and treat such health complications. In his remarks, the Director General Primary Health Care, Ministry of Health, Central equatorial state, Dr Hassam Gamal, said that this training is very important because it will enlighten health workers on effects of armed conflict on both minds and bodies and enable them train others and heal those who are suffering psychologically as a result of armed conflict. He said that the Ministry of Health will continue support efforts to address the issues of capacity building for health workers in Southern Sudan. The health workers were trained in: understanding of the human reproductive systems, sexual and gender based violence; human rights approach to health care; women’s rights; mental health; torture, grief, depression and suicide; management of surgical consequences of armed conflict; HIV and AIDS in post conflict. The training helped to bring out cultural values that are attached to the female and the male gender. For example in some communities in Southern Sudan when a baby boy is born, there are celebrations in the family and the father will buy soap, jerry and other materials for the baby and the mother because the boy will remain in the family, expand and keep the identity of the clan. On the other hand, when a baby girl is born, the parents will not be happy and the father will fake a journey and run away from home. During the naming ceremony, the baby boy is presented with an arrow and a bow a sign that he will defend his family, clan and nation and the girl is presented with a hoe and a bloom meaning that all she has to is house work. The training was an eye opener to many health workers on the issues of human rights, women’s rights, sexual and reproductive rights as well as mental health as many expressed lack of knowledge on such issues. Some of the health workers shared touching experiences. I have now realised that throughout my marriage, I have always been raped by my husband.” said a female health worker from Terekekka County. Others called for the training to be expanded to other community workers. This is the first workshop we have had about mental health, trauma, stress and anger. It should include other officers such as the Police and Army Officers,” said a health worker from Kajo Keji County. Another trainee said the training was in itself helping them heal. “This training is reminding us of the past and open our hearts and forgive each other. Now that we are entering the referendum, it will help us to know what we want,” said James Remo, a healthy worker at Juba Teaching Hospital. The training also gave the health workers an opportunity to open up and share their own traumatic experiences. I was abducted at 4 by soldiers along with 6 other women as we worked in the field. All the women were raped and killed. I pleaded and was spared but had my breasts pierced with sharp metals. I was beaten severely and left for the dead. Other SPLA army men picked me from the bush and brought me to Juba hospital after 4 days of not drinking or eating anything. I did not think at that time that I would ever live to tell the story,” a participant from Kajo Keji County narrated her ordeal. Kony rebels attacked our village. They burned the entire village. They made us cary very heavy loads into the bush. If you refused they beat you until you died. We walked with the luggage as we were being beaten. It was shocking to see people I know being clubbed to death. Further more, health workers said their challenges were heavy work load and lack of skills and facilities to handle many cases in their health units. I am alone at the health centre. I am the cleaner, I am the storekeeper and I am treating patients there is no single nurse. People even call me at night and they will follow you up to your home. In Terekka the whole county has only 4 Clinical Officers. The few officers who are available do not want to be in the villages because of the conditions there. Juba Teaching Hospital has only one psychiatrist to handle all the mental illness and in most cases patients of mental health are tied and thrown in jail. The health workers expressed the need for government to recruit specialised and skilled medical personnel and set up health facilities where they are non existent as well as improving the already existing ones. The health workers also urged government to include mental health in the Primary Health Care Package. A the end of the training participants drew up plans of actions which included; conduct health education on reproductive health and HIV and AIDS and mental health, offer counselling, conduct training for other health workers; counselling services on going; carry out sensitization on health issues through community radios; carry out advocacy to support to people who are in of health services such as the women, children and the elderly. In order to contribute to improved health service delivery in Southern Sudan, Isis-WICCE donated assorted medical supplies which included Artery Forcepts, Cuscos Vaginal Spectrum, dissecting Forcepts,Weghting Scales, Kidney Dishes, Surgical Gloves among others to Lobonok and Pager Primary Health Care Units in Juba County. 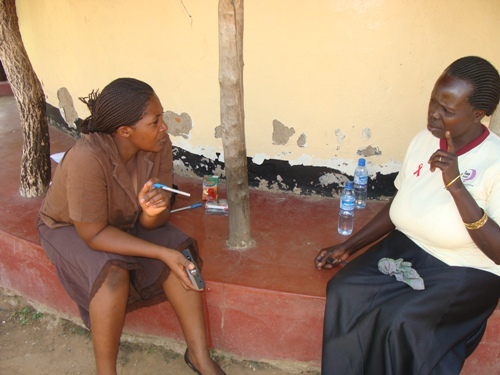 Women’s Rights, HIV & AIDS in Post Conflict Northern Uganda. One of the major consequences of armed conflict is the rapid spread of HIV and AIDS. A case in point is the fact that districts which have been affected by armed conflict in Northern and Eastern Uganda have higher HIV and AIDS prevalence than other districts in Uganda. In Gulu district HIV prevalence rose from 9.4% in 2008, to 16% in 2009, with Gulu Municipality health sub-district leading with 22.1%. According to John Charles Luwa, the district HIV/AIDS focal person, out of the 14,424 pregnant mothers who were tested under the Prevention of Mother-to-Child Transmission of HIV/AIDS (PMTCT) in 2009, about 3,214 were HIV-positive, constituting 22.1%. This is attributed to the high instances of sexual violence such as rapes, defilement and other forms of sexual exploitation like sexual slavery. 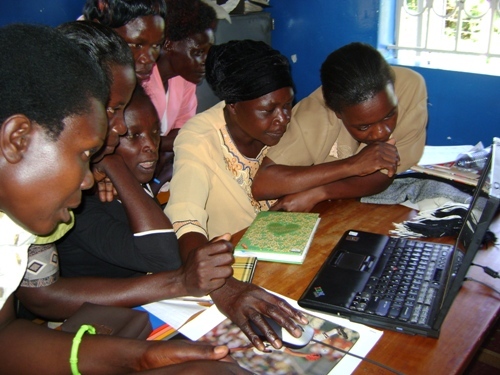 In responding to this situation, Isis-WICCE, an International Women’s rights organization implemented a pilot project in 2009 on “Advancing the rights and basic needs of women living with HIV and AIDS in Northern Uganda with special focus on Kitgum. The objective of this initiative is to enhance the rights of women living with HIV/AIDS and enable partners supporting them to be cognizant of their needs from a rights perspective. It was a realization that enjoyment of basic rights is still a dream and women have little or no say in the decisions that affect their lives and their health. HIV and AIDS has doubled the dose of violations to women and these violations include gender based violence due to disclosure to partners, loss of property especially land, loss of marriage rights including matrimonial home, stealing or removal of drugs (ARVs) from them, stigma and discrimination. For the lucky few that were targeted in this project like Josephine Oketayot, an HIV positive mother of two children, her life never remained the same. For 8 years in her marriage, she had never enjoyed her basic right such as freedom of movement, expression and association. She confessed that whenever she wanted to go the market, fetching water and visiting her parents, he had to first ask for permission from her husband could. not to go anywhere without asking for permission from her husband be it fetching water, going to the market, and visiting her parents. Josephine further explains that after the training she went back home with all the materials and handout given plus a bag with the bag written on “Protect, Promote and Respect Women’s Rights, Yes We Can” which she placed on the bed. And when her husband found it there, he read the message and removed the materials in it and started reading them. According to Josephine, from that time, her husband’s behavior begun to change because he realized that Josephine is now empowered and she knows her rights. He also told his brothers and sisters that I want all of you to respect my wife. He did not only stop at that, he bought for her a sewing machine so that she can start working and earn something. Josephine and her husband are now happily married and they also wedded in church in December last year. The intervention also revealed that, HIV and AIDS programmes rolled out to the communities without consulting them have contributed to an increased gender based violence. The programmes in themselves are good but the implementation strategy is what is lacking. A case in point is Prevention of Mother to Child Transmission which mainly target women because of their biological roles. The PMTCT mandates a woman to disclose her HIV status to her partner and request him to a have the HIV test. The dilemma is that this is not critically analyzed to understand its implication at a family level. The reality on the ground is that instead, the woman will be blamed for bringing HIV in the family and she will be beaten eventually, she will be chased away. In one of the community discussion I had, there was a story of a woman in Kitgum district Northern Uganda, she went to the health centre and was given a packet of condoms. She was told to keep them in a cool dry place and when she reached at home, she looked for a cool dry place in her house. The only cool dry place she could find was the roof top of her grass thatched hut. When the husband came back he noticed something new on the roof and wanted to find out what exactly it was. The man reached up and found a packet of condoms. He immediately started beating the wife and accusing him of prostitution. The poor woman was not given an opportunity to explain how the condoms found their way on the roof top. The women told us that they have found better ways of utilizing the condoms by using them to light fire especially the charcoal stove since they are oily, they can easily catch fire. So where as service providers will attribute their success and achievement to the numbers of condoms distributed, the actual reality is that the intended result may not be attained. The cultural beliefs, practices and attitudes of most of our societies perpetuate a lot of injustice to women and do not recognize their human rights and one of them is wife inheritance. In most communities in Africa, when a man dies, his wife has to be inherited and If she refuses all the property is grabbed from her and she will be chased away from her home.